Meet tulo mattress. The future of mattress commerce. #10 – Price. Unbeatable, Price For The Value. tulo price is the very first feature we must draw to your attention. It’s impressive to see such quality built without a high sticker price. Additionally, this mattress has a price lock. This means, no headache of searching for a better price online or in stores. No need to feel like you’re going to have to haggle to get the best price. There is one price – period. The Sleep Sherpa and Honest Mattress Reviews were onsite at the premier world launch event of tulo mattress. With an estimated 200+ mattress options reviewers have the ability to side by side test everything the industry has to offer. Initial reactions of tulo regarding the build, feel, firmnesses, price point, and additional value benefits have an initial seal of high approval. Complete testing will be reported on once these mattresses are received by both review companies. Protecting your investment with a strong warranty will ensure you feel comfortable at night knowing your new mattress will last the test of time. Ten years is the industry benchmark for warranty duration. Some companies, have extended that warranty to extremely long time periods. The concern with that is if those companies will be around in ten, fifteen, and twenty plus years to honor those purchase promises. tulo, a brand backed by the world’s largest furniture corporation, Steinhoff International, will, undoubtedly, be in business to honor any and all warranty claims. 2015-2016 Revenues are estimated to be in excess of $7.8 Billion globally – you can purchase with confidence. A warranty value should be evaluated not only by the duration but by the faith that the company will be here to honor it. #7 – Mattress Bet, Accepted. 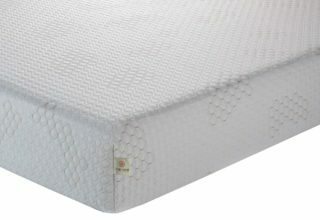 Tuft & Needle has been the king of the great value – great price mattress for years. 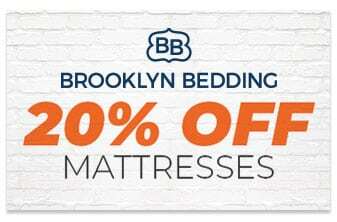 So much so, that they launched a promotion directly targeting Mattress Firm. Tuft & Needle believes that the in-store mattress shopping experience is so bad they will actually pay you $100 if you purchase a mattress at Mattress Firm. Here’s where this bet could wreak havoc on Tuft & Needle financially. Consumers are savvy. If they purchase a twin size Tuft & Needle mattress for $325, wait 30 days, then return the mattress they will receive a full refund and the promised $100. That $100 can then be applied to the tulo bring the price for a queen to only $550. To make this proposition even more dangerous for Tuft & Needle, mattress shoppers can stop into any of the 3,600 locations to pick out the exact firmness they like before buying. With tulo able to leverage the logistics delivery system Mattress Firm has perfected over the years the ease of access and instant delivery could impact Tuft & Needle’s ability to compete detrimentally. We shall see if they continue to back their bet or pull it off the market. #6 – Technology Promise, Delivered. Earlier this year, Mattress Firm launched a technology-driven initiative. 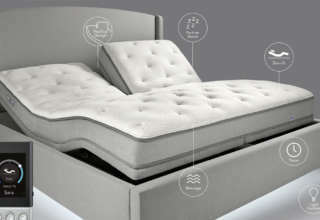 Lead by the Beautyrest Black and iComfort premium lines. They each had an apple style clean, modern, futuristic commercial. This was the first time we’ve seen Mattress Firm’s marketing move into this very sleek and stylish format. Both of those mattress lines come with a healthy price tag. But, Mattress Firm also promised additional technological advancements. With tulo, that promise is made whole. tulo leverages titanium to activate cooling to ensure you sleep well all night long. But, the rest of the technology present is what’s going to change consumers lives. The ability to try this mattress at 3,600 locations means they’ve covered the online and offline experience. Advanced logistics mean you could have this mattress delivered same day. The last evidence of technology adoption is in the price. The ability to deliver a premium product at such an affordable price point without sacrificing materials is a point that could stand on it’s own. Rather than creating a mattress that’s great for some, good for some more, and okay for the rest – tulo acknowledge that there is a clear need for different firmnesses. Launching their brand they start with three very different feels. This means they made a great product that can cover 99% of sleepers firmness preferences. The other 1 percent desire sleeping on wood blocks, plastic bottles, or cozy marshmallows. You get to try tulo in your home for 120 nights. This gives your body time to adapt and adjust to the new sleep experience. 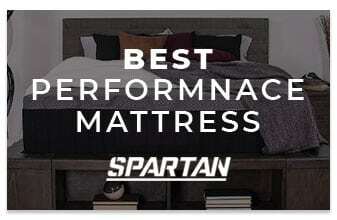 Let’s be honest, your old mattress has been beaten into submission with that loveable dip in the middle where you’ve slept for the last nine years. If tulo doesn’t meet and exceed your expectations during that sleep trial period you can simply have them come pick it up and get all of your money back. When compared to Casper and Tuft & Needle you gain almost an extra month of time to test out tulo. It’s going to take a little time to roll out tulo nationwide, but, once it is fully deployed most cities in the US will have same day or next day delivery at the very latest. This rivals and even beats Amazon, the world’s largest online retailer. This also far exceeds 99% of the other mattress companies for delivery time. 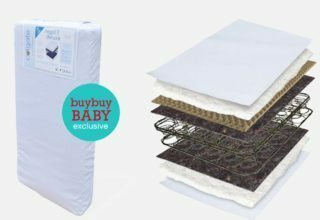 Your expectations will match the description of the product ensuring maximum success for buying the right mattress for your individual needs. #2 – Free, White Glove Delivery With Old Mattress Removal. White glove delivery service used to be reserved only for premium mattresses. This is the service where the mattress company delivers the new mattress, carries it to your room, sets it up and removes your old mattress. Some companies, like Casper, offer this at the point of purchase for an additional $100 dollars. They also note that you will receive your mattress 4 – 8 days after purchase. tulo has the ability to have your mattress delivered, setup and ready for use in 1 – 2 days. That’s a 50% to 100% improved logistics delivery timeframe when compared to Casper. #1 – Location. Location. Location. The internet is accessible virtually everywhere in the United States. 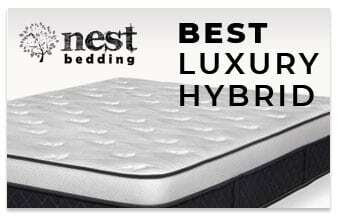 Thus, the ability to research and purchase a new mattress is also available 24/7 – 365; even from your mobile phone. With this, all mattress companies online are in essence always open for business. But, what happens if a consumer wants to try a mattress before committing to the purchase. The lengthy sleep trials have helped overcome that massive purchase objection. tulo mattress, the newest online mattress contender, overnight became the most accessible online mattress to try in the US. How? 3,600 Mattress Firm store locations will soon feature this mattress to try in-store. Clearly, with Casper, Tuft & Needle, Leesa, Nest Bedding and Eight Sleep venturing into the in-store experiences this still plays a crucial role in purchase decisions. Casper launched 15 pop up stores recently and Leesa partnered with West Elm to bring their mattress to retail. tulo, will be on virtually every corner, across America. Want to buy online? No problem. Want to try it before you buy it? No problem. They are now positioned to not only compete but also dominate the $650 price and less market. Not to mention, the ability to grow a product line with step up mattresses, pillows, sheets, etc will enable amazing attachment conversion rates. tulo isn’t just a mattress or a bed in a box. tulo is the future of mattress commerce.